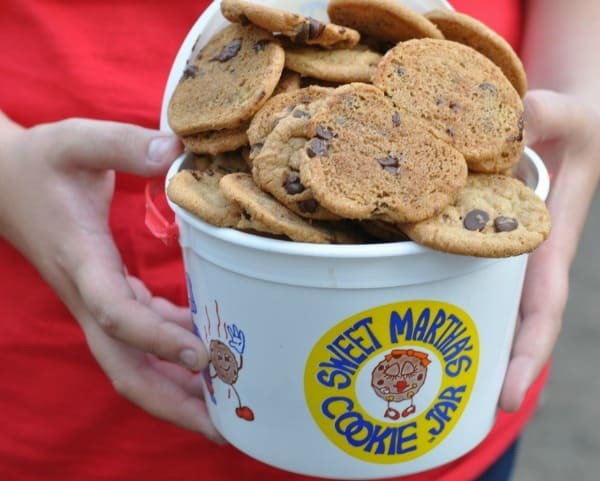 A super yummy tradition at our state fair, are these mini chocolate chip cookies made by Sweet Martha’s. 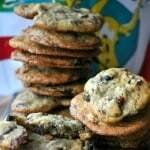 They serve up these state fair cookies warm with gooey chocolate chips and serve them by the bucket! Some of the families consume all their cookies at the fair and some pack the cookies home for later or even pop them in the freezer to be savored all year! This summer, I’m teaching my annual Cooking with Kids class and knew homemade state fair cookies had to be included with the class. 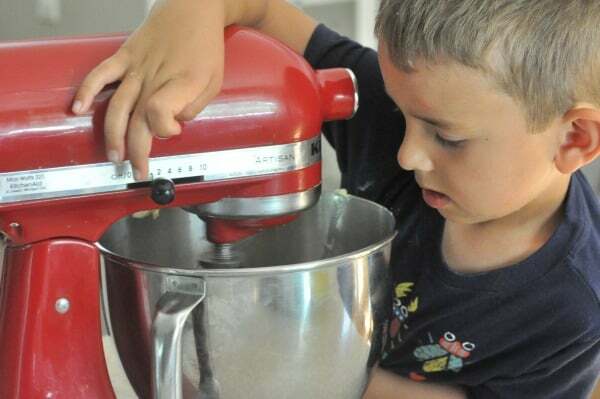 My Cooking with Kids class includes five recipes with detailed instructions on getting your kids involved in the kitchen. Recipes included in the class (pictured below): Strawberry Ice Cream, Nutella Popsicles, S’mores Bars, Lemonade, and State Fair Cookies. You can receive all five electronic recipe books at once or have them sent to you once a week! It’s a great way for your kids to learn an important life skill and something fun for you to do with your kids. If you’d like to register for the class, click here to register click here to register and get the recipes and cooking with your kids tips. Great Butter makes Great Cookies so I recommend using Land O’Lakes butter. 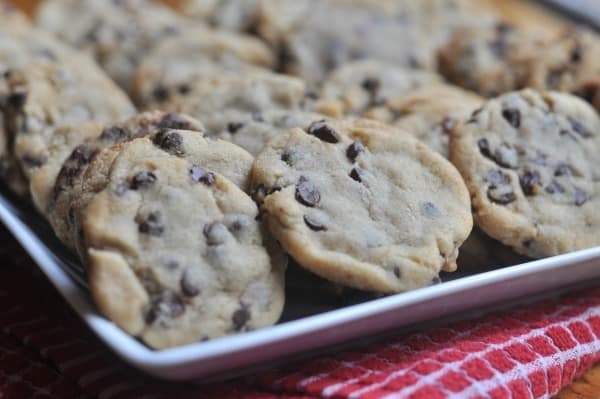 State Fair Cookies have a chewy inside and crisp outside, that is achieved by this recipe’s sugar ratio and not combining all the ingredients at once (follow the outlined process for creaming sugar and adding ingredients). Don’t use your mixer to mix the dry ingredients, just mix by hand. These are mini cookies so I like to use mini chocolate chips. Use a cookie scoop and divide the cookie dough ball in half or use a Tablespoon to measure each cookie scoop. Refrigerate the dough at least 30 minutes. I like to bake the cookies for 6 minutes for the ultimate chewy texture. 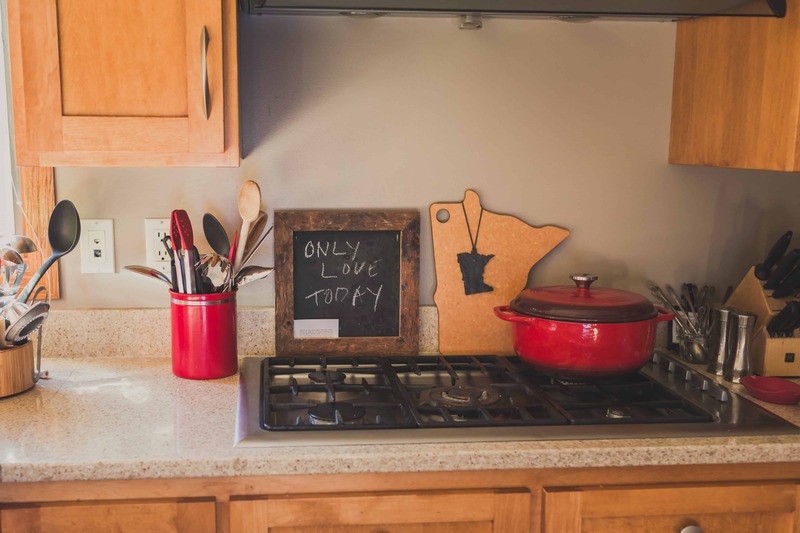 My favorite tools for this recipe (affiliate links): Cookie Scoop, Baking Mat, and Jelly Roll Pan (Cookie Sheet with sides). State Fair Cookies are best served warm so plan to eat these right out of the oven! 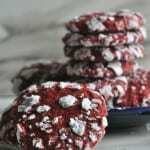 This state fair cookies recipe makes 6 dozen cookies so make it for a big get together, gift for a friend, cookie swap, or like most cookie dough, you can freeze the dough for later use. These are great cookies for your kids to make for a lemonade stand or sandwiched with your favorite ice cream. 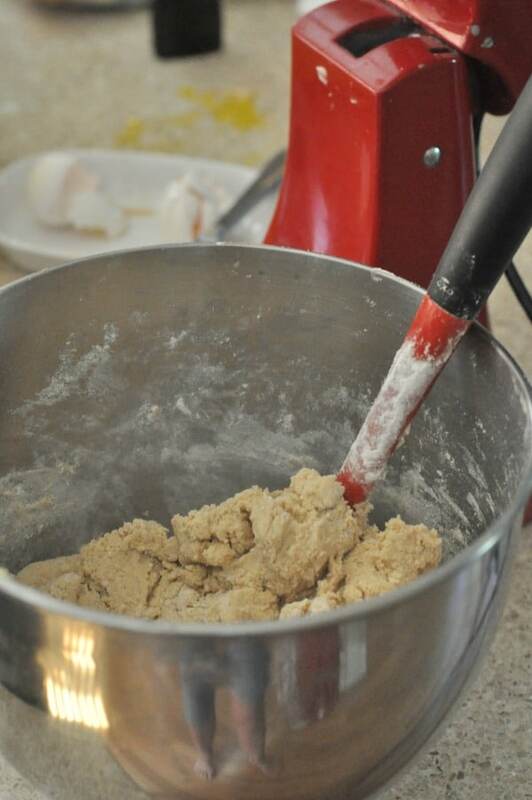 After creaming the butter and sugars, your dough should look nice and fluffy. Hand mix the dry ingredients into your batter. 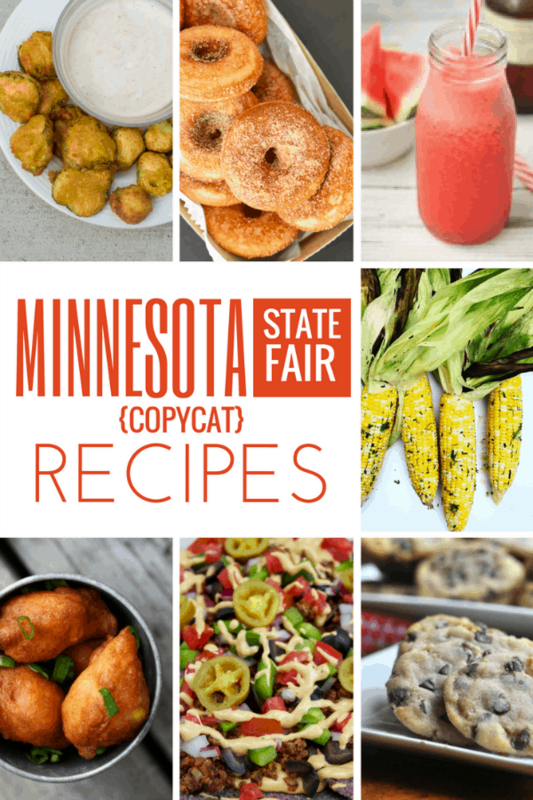 This state fair cookies recipe was inspired by Sweet Martha’s Cookies at the Minnesota State Fair. 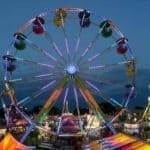 For the original warm cookies visit the Minnesota State Fair, each year at the end of August. 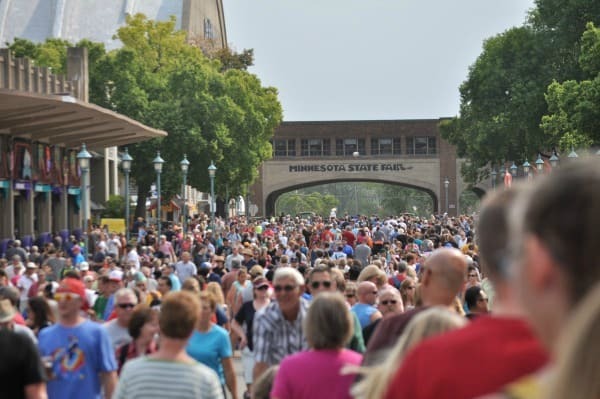 I’m not the only one who LOVES the Minnesota State Fair! 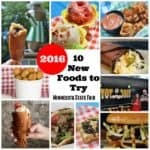 I’ve teamed up with an awesome group of food bloggers to make homemade versions of our favorite recipes from the Minnesota State Fair. 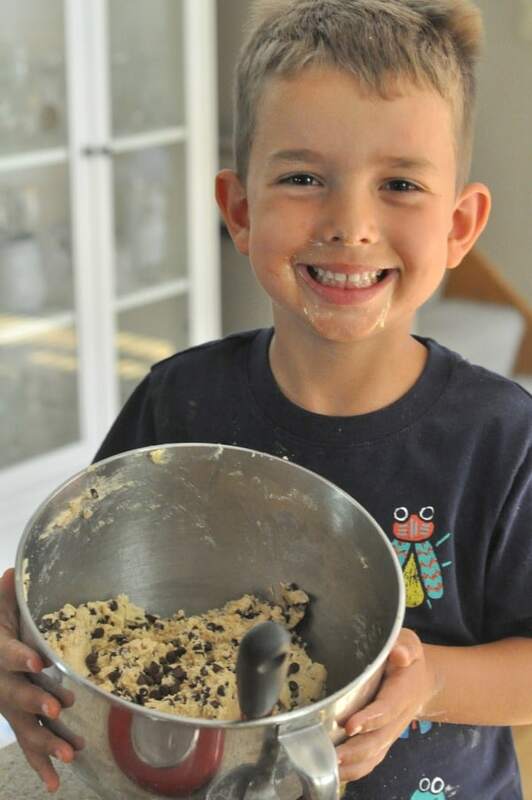 I hope you’ll try these recipes and join me for my Cooking with Kids class! In a stand mixer, combine, butter and shortening. Mix until creamy. Add white sugar and brown sugar. When the mixture is fluffy, add the vanilla. Add eggs one at a time to the mixer. Set aside. In a medium-sized bowl, combine flour and baking soda. Use a whisk to combine dry mixture. Add dry mixture to butter mixture. Use a spatula to combine (do not run mixer). Once combined, add chocolate chips. Cover and refrigerate the dough (30 minutes to overnight). 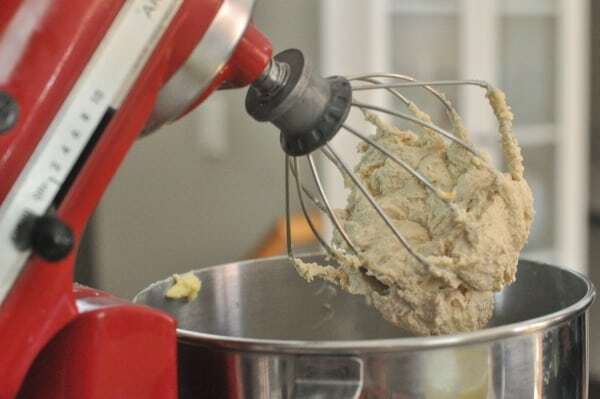 Once the dough has been chilled, use a cookie scoop (divide the scoop of dough into two cookie balls) or use a Tablespoon to measure dough balls. Place cookie dough on a cookie sheet or jelly-roll pan lined with a baking mat or parchment paper. Flatten each cookie. 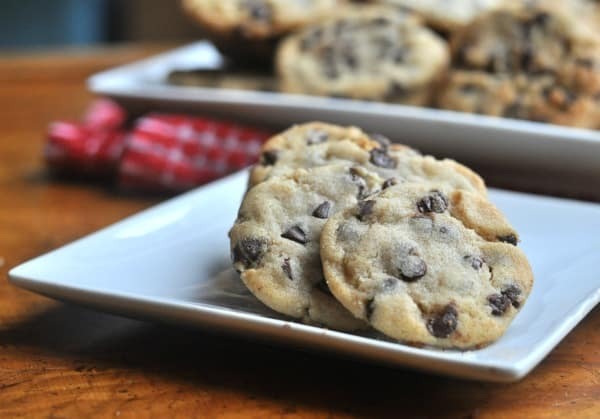 This entry was posted in Desserts and tagged chocolate chip cookies, cookies, dessert, mini cookies, mini state fair cookies, Minnesota, minnesota state fair, Potluck, state fair, state fair cookies, sweet martha, sweet martha's, sweet martha's cookies by Alice Seuffert. Bookmark the permalink. 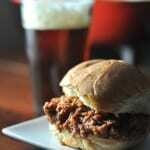 Chewy + crunchy… so perfect! And what a cute helper too! These look delicious! The cookies look so good. YES! Sweet Martha’s cookies are the quintessential fair food! Love that you’re including your kiddo, cooking with kids is the best! Agree! We have so much fun cooking together! You are the queen of flavor!! 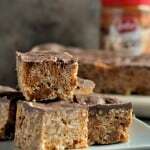 These look delicious and I can’t wait to make them!